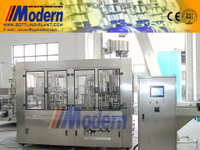 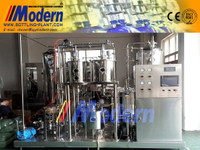 - Buy Beverage Carbonation System from Zhangjiagang Modern Machinery Co., Ltd.
QHS model beverage carbonation system is designed with latest technology and used for the mixing of soda and other aerated beverage. 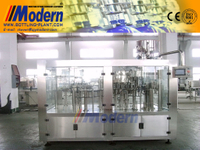 The pates that contact the liquid are all made of fine low carbon stainless steel in accordance with the requirement of food sanitation. 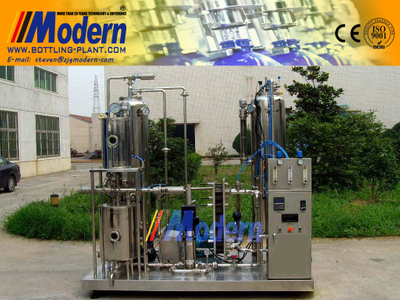 PLC technology is adopted to control the pressure and liquid level in the vat. 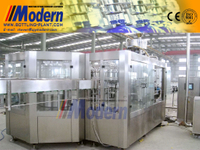 An alarm will be given if there is anything abnormal and the machine has a compact structure. 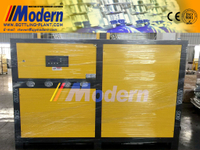 With stable performance and high efficiency, it is easy to operate. 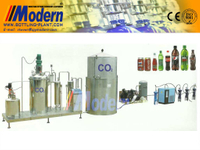 It is an indispensable piece of equipment in carbonated beverage production.